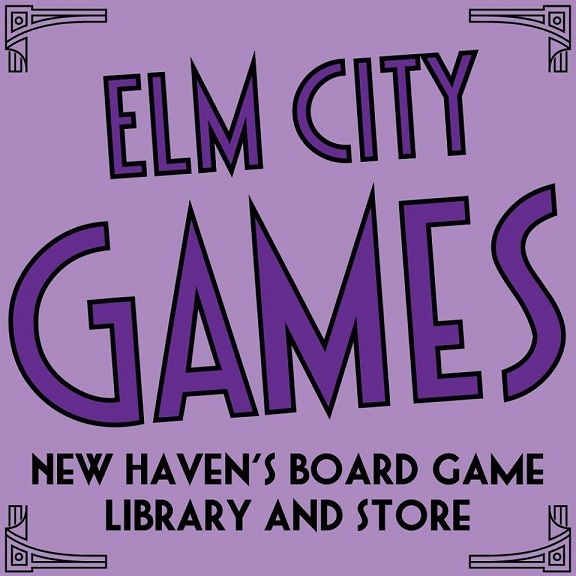 Congratulations to Elm City Games! 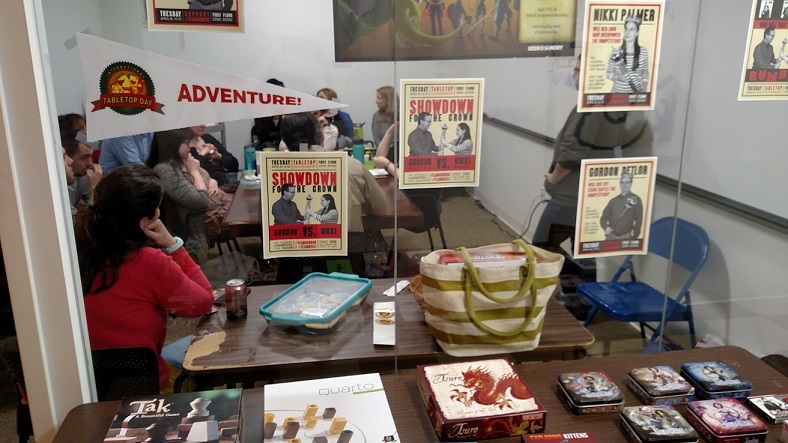 I talk a lot about the puzzle/game community, my fellow puzzlers and PuzzleNationers, and so on, and that’s because, deep down, the community is one of my favorite things about being a puzzler and game enthusiast. There are many cool, inspiring, and brilliant people that contribute so much to the world of puzzles and games, making it ridiculously fun to be a part of, and today, I’d like to give a shout-out to one particular member of that community. 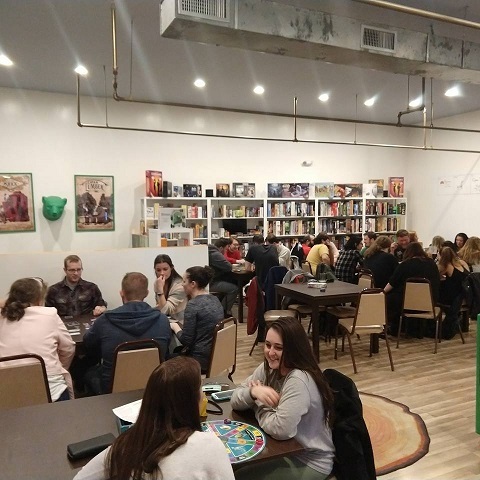 Elm City Games is celebrating its second anniversary this Saturday with a party and potluck event, and I’m overjoyed for them. They truly put the “Friendly” in Friendly Local Game Shop, representing the best aspects of the puzzle/game world. 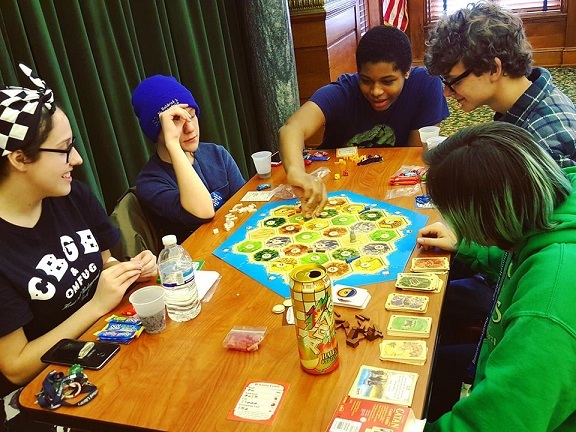 I got to explore Elm City Games when they hosted the first Connecticut Festival of Indie Games back in May of 2016. They threw open their doors to dozens of aspiring and established game designers and a slew of game fans, and to this day, it remains one of the best puzzly events I’ve ever had the privilege of attending. 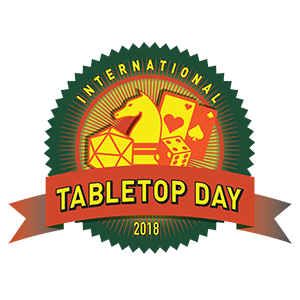 To celebrate the occasion, they’re hosting events all day (starting at noon) like learn-to-play sessions of Dungeons & Dragons, game tournaments, and more! What more can I say? It’s a great spot run by rad people. 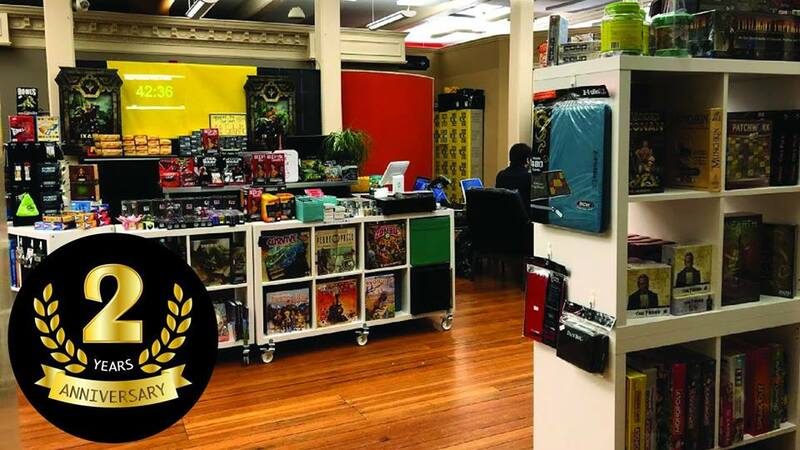 So if you’re anywhere near New Haven, CT, on Saturday, swing by to wish Matt and Trish well, enjoy some games, and support a terrific local hub for all things great about gaming.